This is CME on ReachMD. This activity, Advances in Preterm Birth Prevention: Subcutaneous vs. Intramuscular Dosing of 17-OHPC – Pharmacokinetic Profile, Patient and Practitioner Impact, is provided in partnership with Omnia Education and supported by an independent educational grant from AMAG Pharmaceuticals, Inc.
Before beginning this activity, please be sure to review the learning objectives and faculty disclosures. To download the slide presentation for this activity, go to ReachMD.com/Omnia. The Society for Maternal-Fetal Medicine, SMFM, the American College of Obstetrics and Gynecologists, ACOG, and the American College of Nurse-Midwives, ACNM, have all published guidelines providing specific recommendations regarding the diagnosis and management of patients at risk for preterm birth. In light of the recent availability of a subcutaneously administered 17-hydroxyprogesterone caproate, tradename Makena, this activity will seek to provide OB/GYN clinicians with information surrounding the pharmacokinetic principles underlying the determination of pharmacologic bioavailability and bioequivalence and the clinical data supporting the bioequivalence of 17-hydroxyprogesterone caproate administered subcutaneously compared to the intramuscular injection. This activity will also define the impact of this new route of administration of 17-hydroxyprogesterone caproate on patient and practitioner parameters. This is CME on ReachMD and I’m Dr. Amy Mackey. Joining me is Dr. Baha Sibai, Professor, Department of Obstetrics, Gynecology and Reproductive Sciences, University of Texas Health Science Center in Houston, Texas. Dr. Sibai, welcome to the program. Thank you for having me participate in this exciting scientific activity. Dr. Sibai, can you give us an overview of the recommendations from SMFM, ACOG, and ACNM for the diagnosis and treatment of patients at risk for preterm birth? 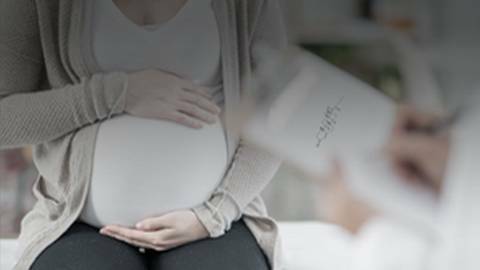 ACOG, SMFM and ACNM have published many guidelines starting in 2012 and ending in 2017, and these guidelines have emphasized the use of progesterone in the management of patients at risk for spontaneous preterm birth. These recommendations suggested that for women who have a history of previous spontaneous preterm birth at less than 37 weeks, that women should received 17-hydroxyprogesterone caproate for the prevention of recurrent preterm birth. This recommendation includes starting the medications at 16 weeks and continuing until 37 weeks gestation. For women without a history of spontaneous preterm birth who had a routine cervical ultrasound, a cervical length of less or equal to 20 mm, they recommended that these women should receive vaginal progesterone starting at 18 all the way up to 24 weeks gestation. In addition, they emphasize that women who have multiple gestation should not receive 17-hydroxyprogesterone or vaginal progesterone to prevent preterm birth. Great, thanks so much for reviewing those guidelines with us, Dr. Sibai. Now I’d like to talk about something I just mentioned a bit ago: the availability of an FDA-approved new route of 17-OHPC administration from intramuscular to subcutaneous and what this means pharmacologically to the patient. The FDA granted approval to this drug, based on its bioequivalence and bioavailability data. Bioequivalence means that the drug demonstrated the absence of a significant difference between both the rate and the extent of which it becomes available at the site of action when administered in the same concentration, or same dose, in an appropriately designed study. Bioavailability has a similar definition. It’s the degree at which the rate of the drug is absorbed and available at the physiologic site of action, and this is often described as the total exposure or area under the curve – AUC. For a manufacturer to demonstrate bioequivalence, the study must demonstrate that there is no significant difference between the rate or time to maximum concentration, or Cmax, and the extent or area under the curve between either the new formulation or new route of administration of a drug. The FDA guidance allows the drug to have anywhere between an 80% to 125% variability from the original product or route to claim bioequivalence. It also must achieve a 90% confidence interval where all the values within the confidence interval range have to be within that 80% to 125% variability of the original product. In this case, Krop did a randomized, multicenter, open-label study to compare the bioavailability of a single dose of 17 OHPC administered subcutaneously via autoinjector (275 mg) versus intramuscular administration (250 mg) in postmenopausal women. 90 patients took part in the study, and 45 patients were in each arm. This table compares the pharmacokinetic parameters for the 2 routes of administration. The key components concerning bioequivalence are the Cmax and Tmax, As can be seen, these are similar for both the subcutaneous and the IM administration. As for the total exposure, which is described as AUC, these were similar between the 2 routes of administration for all the time intervals evaluated. As for the half-life component, there the subcutaneous route was slightly longer compared to the IM. Overall, these 2 routes of formulations were deemed bioequivalent by the FDA based on their assessed parameters being within that 80% to 125% interval for claiming bioequivalence. Patient tolerability is also a key factor assessed when a new route of administration is put forth. This table compares the reported adverse events from both the patient and investigator perspective. The most common side effect with the subcutaneous injection was injection site pain, with nearly 40% of patients reporting this versus nearly 10% of patients receiving the IM injections. Of the subcutaneous patients, 85% reported this was only mild pain. Dr. Sibai, any explanation as to why this difference existed, particularly given the smaller size of the subcutaneous needle, a 27 gauge, versus the IM needle, which is 21 gauge? Interesting this morning I was seeing the patients in my office. I asked all of our nursing staff and the nurse manager about did they have any complaints from the patients about the sub-cu injection. I was really surprised they said they didn’t have a single patient among the 22 women who received this medication starting April in my office. So I don’t know how well it is really the data in postmenopausal women. I’m surprised, because we asked this question today, and they said they didn’t have a single woman who complained about pain at site of subcutaneous injection. For those just tuning in, this is CME on ReachMD. I’m Dr. Amy Mackey, and today I’m joined by Dr. Baha Sibai to discuss a new option in the management of preterm birth. Before we talk about its implication for patients, I’d like to take a minute to catch our audience up on the evolution of 17-OHPC. Since its approval in 2011, 17-OHPC has been administered as a 1-mL (250-mg) solution via IM injection in the upper-outer quadrant of the gluteus maximus muscle using a syringe with a 21-gauge needle. The administration regimen also required that health care professionals draw the drug from a vial using a large-gauge needle, then switch needles to administer the dose with a smaller-gauge needle. In February of 2018, 17-OHPC received FDA-approval for a single-use autoinjector for subcutaneous dosing of 17-OHPC 1-mL (275-mg). The underlying rationale for developing an autoinjector for subcutaneous administration of 17-OHPC included increased convenience and safety of administration, that is, potential reduction in dosing errors and needle sticks by the healthcare professional, and potential reduction in injection-related pain or anxiety for the patient – without compromising its bioavailability and other PK characteristics. So, Dr. Sibai, considering the availability of the subcutaneous auto-injector, how has this affected your clinical management of patients eligible to receive 17-OHPC? I think that there are really 2 important issues in this case: first, the compliance by the patient, and more important, the satisfaction by the nursing and the staff in my office, so that’s the first issue. In the past year, before I started prescribing the subcutaneous injection, my experience has been about 10 to 15% of all women who are eligible to receive Makena, they were refusing to take anything, and their reason for that was that they didn’t like to take IM injections and they didn’t want to come every week to have somebody give them the injection in the office. The other thing, few of them said that either they had a friend or a sister who told them that she received the medicine and it is so painful and this is why they elected not to take it. Then I will say an additional probably 15% of the women where we started giving the IM injection—about 15% of them were not really compliant by taking the doses every week, and this really was a major concern. What I can state now is that once I started using this in April, the compliance was tremendous. I haven’t had a single… I know it was only a short time period, about 3, 4 months. I haven’t had a single patient who really refused to take the injection if she is eligible to have it. And second important thing, I asked the question about what percentage of our patients actually have now shifted from the IM to the subcutaneous, and the answer is probably now about more than 75% of my patients now are opting to receive the subcutaneous injection. And the main reason most likely is because the needle size is very small, the auto-injection is very easy to teach the patient how to take it, and the main reason, many pregnant women in my office, they know how to give themselves subcutaneous Lovenox. In my practice I have a few selected patients who are really familiar of administration the subcutaneous injections, whether it is they have already received Lovenox in the past or they have (inaudible)* gestational diabetes or they have been used to giving subcutaneous injection like insulin, and for these patients, they prefer to have it given to themselves at home, and this has enhanced, actually, compliance and the acceptability of the patients to receive Makena to prevent subsequent preterm birth, which really in my opinion is extremely important. Rather than the patient not take anything, it’s just to let them receive the injection even though it’s considered off label. How do the patients receive their medication and instructions on how to use it at home? We rely on the pharmacy here that does really provide all of the information, and in the package that includes the syringe, they have really a video, and we ask the patients when them come whether they are receiving it or not. Hopefully, I will have 1 year where we collect data even look at the outcome in those who receive, because I know some of the concern from some of the providers is that is really the subcutaneous the same like the intramuscular injection, and I think collecting this information might be reassuring to everybody that both of them are the same and the subcutaneous is probably as efficacious as the IM and there should be no concern. And what has been the reaction of your staff to this? I tell you the staff really loved it because, first, they don’t have to worry about, you know, the patients have to come every week to the office, the time they spend, you know, to give the injection to the patient, plus for safety issue, the way the needle and injection. Now it is very safe, even when the patient receives it in the office, for our staff nurse to give the injection. Again, for me, I think it’s one of the most important things I see now for compliance with the medication. Again, we are fortunate here that Medicaid and the commercial insurance have approved it. I haven’t had anybody really being denied, which is really a very big plus now for using it. From your response, would it be accurate to say that the availability of the auto-injector will likely enhance patient adherence to this therapeutic regimen? Absolutely, there is really no doubt. I really think hopefully we’ll be able to show that it has the same efficacy and probably the outcome will be better because you have better compliance. This information will help our listeners understand the role of a new route of administration of 17-OHPC via subcutaneous administration in the upper arm in their patients at risk for preterm birth owing to prior spontaneous preterm birth. Dr. Sibai, anything you would like to say in closing? Absolutely. Really, I need to assure the providers, because again, I have some phone call about, you know, is this really medication any different than Makena? And there really are providers I have to really assure that it’s the same medication. It’s just being put in a different syringe and being given a different mode. It’s not a formulary medication or anything else. It’s Makena, but it’s given a different route in a different syringe. That’s what it is. Well, this has been a very insightful discussion on one of the most important issues surrounding obstetrics, which is the prevention of preterm birth. Dr. Sibai, thank you for joining me. This activity has been brought to you by Omnia Education. To claim your free CME credit, be sure to complete the posttest and evaluation. This activity and its additional resources can be found at ReachMD.com/Omnia. Thank you for listening to ReachMD. Be Part of the Knowledge. Dr. Sibai and Dr. Mackey discuss one of the most important issues surrounding obstetrics: the prevention of preterm birth. In light of the availability of a subcutaneously administered 17-OHPC, this activity will discuss strategies for providing optimal clinical management to women at risk for PTB, based on the SMFM, ACOG, and ACNM recommendations, as well as provide information surrounding the pharmacokinetic principles underlying the determination of pharmacologic bioavailability and bioequivalence, and the clinical data supporting the bioequivalence of 17-OHPC administered subcutaneously compared to the intramuscular injection. It will also define the impact of this new route of 17-OHPC administration on patient and practitioner parameters. Dr. Sibai has nothing to disclose. Incorporate strategies for providing optimal clinical management to women at risk for PTB, based on SMFM, ACOG, and ACNM recommendations. Define the bioavailability and bioequivalence data regarding subcutaneous administration of 17-OHPC compared with intramuscular administration. Describe the impact of subcutaneous dosing of 17-OHPC on patient and practitioner parameters.